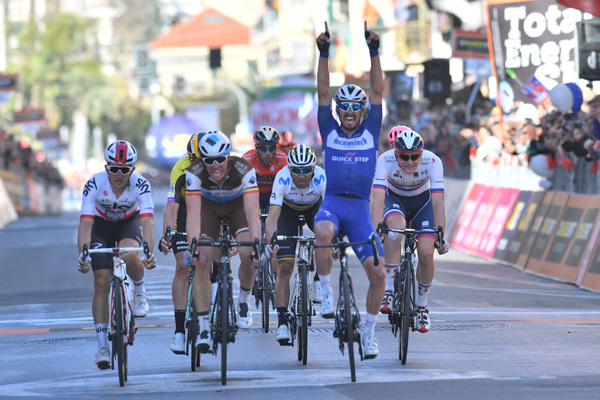 I don’t tell you much useful on this website, but I did inadvertently drip-feed you a teaser of Julian Alaphilippe’s win in Milan-Sanremo. First, I told you he’d win a bunch of stuff this season. This was his seventh win and it’s not even April. Second, I told you that he won a bunch sprint in Tirreno-Adriatico last week. Turns out that was a bit of foreshadowing. After stretching and eventually snapping the peloton over the top of the Poggio, the race’s final climb, Alaphilippe sat in the small front group right to the finish. Then, despite the presence of Peter Sagan and others, he won the sprint. King of the Mountains in last year’s Tour de France, beating Sagan in sprint finishes this season. Whatever next? If we take that non-rhetorically, it’s the Ardennes Classics next month and Liege-Bastogne-Liege in particular. Cobbles first though. The Tour of Catalunya gives us a bit of hilly stage racing in the coming week and a light preview of who might go well in the Grand Tours, but the main racing is in Belgium for the next month. It’s E3-Harelbeke on Friday, Gent-Wevelgem on Sunday, the Tour of Flanders the week after and Paris-Roubaix the week after.